Your vision relies on an intricate system of nerves, blood vessels, membranes and other tissues. While your eyes may appear normal on the outside, sometimes the eyes can experience significant problems on the inside. Modern technology allows optometrists to examine the eye’s interior structure to provide comprehensive care and more effective solutions. The Optomap captures more than 80% of your retina (the light-sensitive tissue lining the back of the eye) in one image; traditional imaging typically only shows 15% of your retina at one time. The ultra-wide image allows optometrists to detect early signs of eye conditions and other diseases such as diabetes, high blood pressure and stroke. 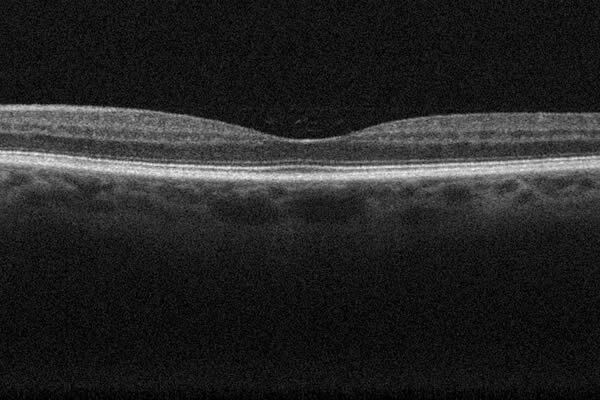 An OCT takes cross-section images of your retina, the light-sensitive tissue lining the back of the eye. 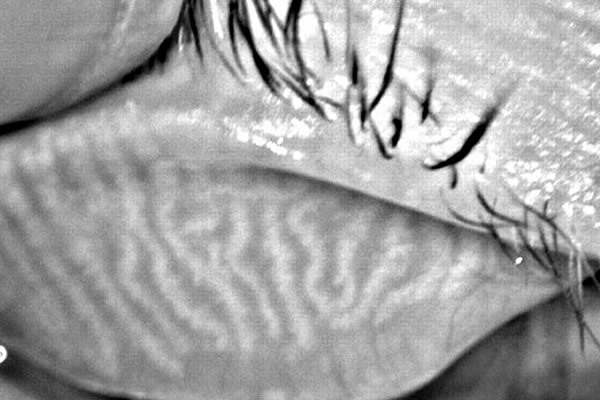 The image allows optometrists to map and measure the thickness of these layers to help diagnose and treat glaucoma, macular degeneration and diabetic eye disease. A topographer maps the surface curvature of the cornea, the outer structure of the eye primarily responsible for the eye’s refractive power. 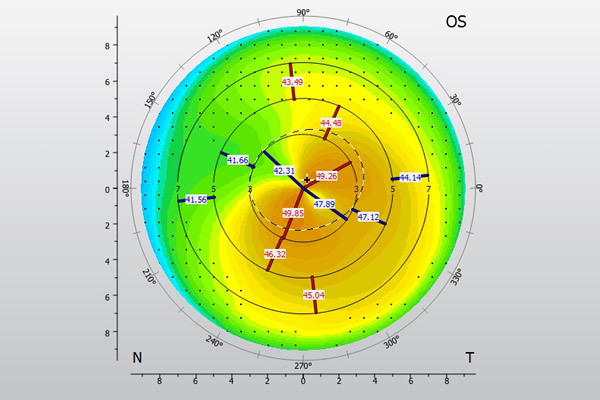 This image helps optometrists determine the quality of vision and corneal health. This technology images the structure (shape and size) of meibomian glands and the degree of drop out (glands that are missing or atrophied). This test helps optometrists determine how to treat dry eye as meibomian gland dysfunction (MGD) is responsible for dry eye symptoms in many patients. This instrument measures peripheral (side) vision. 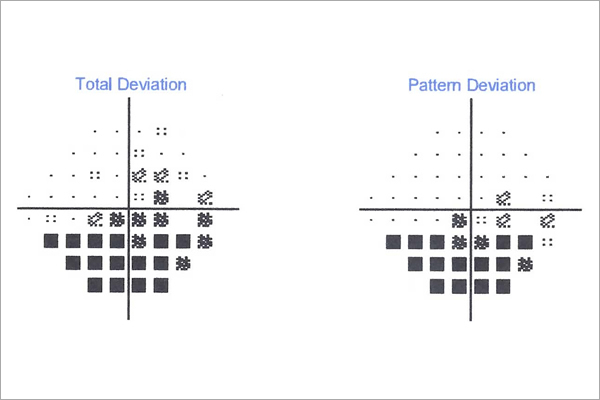 Optometrists require detailed visual fields to determine conditions like glaucoma, stroke and neurological disease. A pachymeter measures the thickness of the cornea, the outer structure of the eye. Optometrists use the measurements prior to refractive surgery (LASIK and PRK) and preliminary glaucoma screening. Many eye diseases develop without any noticeable symptoms, allowing them to potentially go undetected for years while causing irreversible damage in the interim. Our advanced diagnostic equipment allows our optometrists to detect eye diseases earlier and help prevent significant and permanent vision loss. The eye is designed to produce tears as a means of cleaning and lubricating itself. When the eye does not produce enough tears or produces tears of poor quality, it results in a debilitating condition known as dry eye disease. Modern Eyes Optometry is uniquely equipped to diagnose and treat dry eye disease, restoring comfort and function to the eyes. The macula is a small area of the retina responsible for detailed central vision. With age, deposits (drusen) or irregular blood vessels may form causing tissue damage and blindness. This disease is called age-related macular degeneration. Using advanced diagnostics and ocular imaging, our optometrists can effectively detect AMD early and administer treatment before vision is permanently damaged. Glaucoma refers to a collection of conditions which result in cumulative damage to the optic nerve causing permanent loss of vision. Cases with both high intraocular pressure (IOP) and normal IOP exist. 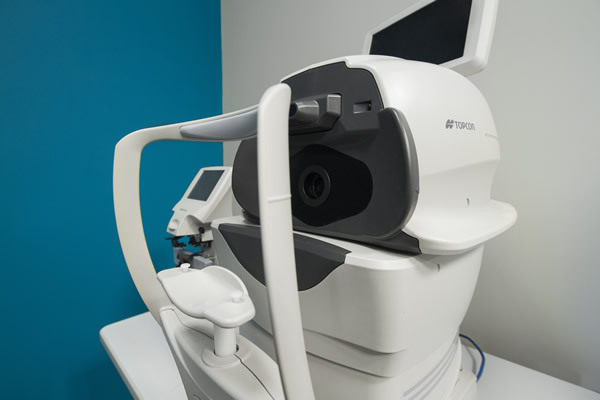 Our advanced diagnostic equipment allows our optometrists to detect and treat glaucoma early, limiting damage to the optic nerve and slowing vision loss. 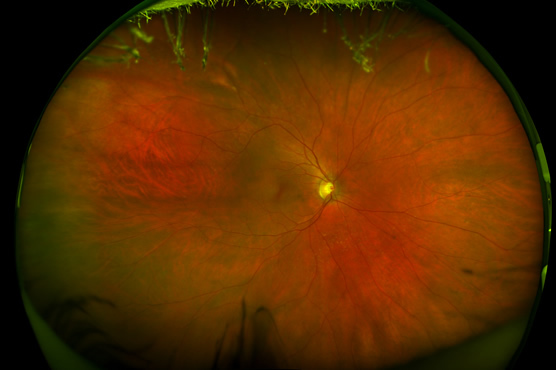 Diabetes, the leading cause of blindness in middle-aged Canadians, causes damage to blood vessels in the retina via hemorrhages and eventually irregular blood vessel growth. Early detection, with the aid of advanced imaging, is key in managing this disease and preserving vision. Visit an optometrist regularly for a comprehensive ocular health assessment.